Buying a computer is always a big event for me. 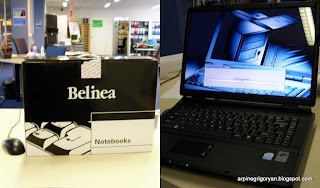 I still remember the excitement around buying my first ever laptop with own money back in February 2008. It wasn't the greatest and most powerful one... in fact it was the cheapest one in Media Markt of Rotterdam; the only one that was being sold with Win XP instead of Vista... it had a very simple design and fitted well to my needs. I couldn't wait until it arrived. So nice, so portable and smart!!! The only disappointment was that the Windows XP Home edition was already installed... in Russian language version :( I hate Russian language interface and i couldn't stand reading "Пуск" instead of "Start". The language can't be changed and the only option is to install new Windows...Well I got my license for Russian language since it was brought in Moscow :( However, I renamed all the icons and folder names and changed all other options to default English so I'm okay with it now. Then i started to transfer all my files from the previous laptop via wi-fi (luckily i have my own network at home). After that, I started to customize and personalize my new computer with the software i use, so this is a nice occasion to write down about some applications i'm using in case my recommendations would be useful to any of you. At first, i downloaded the browser. Chrome this time and no FF. Sorry Firefox fans, i don't want to struggle with hanging browser anymore! And I also installed the new Opera 10 as my second browser. 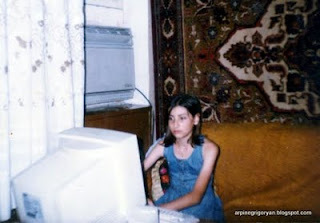 Then i downloaded my favorite picture editor and viewer Picasa 3.5, that scanned all my pictures for its database. Then it came the time for Winamp. It's my preferred music player since 2001. After that i downloaded the last.fm scrobbler to continue scrobbling the tracks i listen on this computer too. Then it was the time for the video player and my choice is VLC. IMs. I downloaded Google talk client. Skype was pre-installed. KDWin to be able to switch between keyboard drivers for Russian and Armenian. Flashget as a download client. uTorrent as a torrent downloader. Activated Office 2007's 60 day trial to be able to use OneNote as my favorite note taking application. My favorite twitter client was Twitterfox plugin for FF, but since i don't have FF on my personal comp. anymore, I downloaded Tweetdeck, which I have used also before. But Why, why one needs that buggy KDWin in 2009? v nice Arpiné! 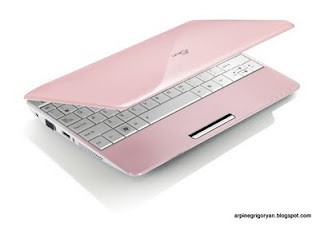 congratulations for the new pinkie cutie notebook mean laptop! and aaa eventuallyyy my lovely torrent downloader is... tam tam tatamm VUZE..!! love the UI of it and all the facilities it has! really worths checking! Have you ever tried the Moblin? It's great for netbooks. Congratulations! Good present for yourself on birthday!